Nine out of ten Texas public school districts earned the “Met Standard” designation in the 2014 state accountability system ratings released this week by the Texas Education Agency (TEA). Districts, campuses and charters receive one of three ratings under the accountability system: Met Standard; Met Alternative Standard; or Improvement Required. Click here to view the full August 2014 newsletter. Conduct a comprehensive review of school choice programs in other states. Examine the impact of education tax credits and taxpayer savings grants on the state budget. Review the state’s parent trigger and Public Education Grant program statutes and identify any potential improvements. Monitor the implementation of SB 2, relating to certain charter schools. Monitor the implementation of HB 462, related to the prohibition on developing or adopting common core standards. Review Chapter 26, Education Code (Parental Rights and Responsibilities) and determine if any statutory changes are necessary to strengthen the rights of parents. Consider measures adopted in other states. Review Chapter 8, Education Code (Regional Education Service Centers), specifically the purpose and the performance standards and indicators developed by the Commissioner. Analyze all funding streams available to Education Service Centers. Study and make recommendations on the feasibility of removing failure to attend school (Section 25.094, Texas Education Code) as a Class C misdemeanor offense and determine the feasibility of adjudicating juvenile truancy as a civil offense. Committees will hold hearings on the interim charges and may develop legislation to address them. The House Committees on Defense and Veterans Affairs and Licensing and Administrative Procedures met Thursday to hear invited testimony from several state agencies, including the Texas Education Agency, regarding occupational licenses and employment for military personnel. Commissioner of Education Michael Williams announced today that the Texas Education Agency, in collaboration with the Texas Higher Education Coordinating Board and Texas Workforce Commission, has made available a graduation toolkit for students, parents and school counselors. With the launch of a new initiative Monday, the Texas State Technical College System could help revolutionize how colleges align their curriculum with workforce demands and help their students match up better with employers’ needs. Some East Texas school districts are banning electronic cigarettes, while others don’t see a need to change policy regarding the devices. This past school year, Sabine ISD was the first area district to take a stance on e-cigarettes. 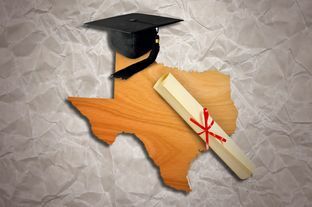 As Texas education officials announced the third year of record-breaking high school graduation rates on Tuesday, critics continued to raise questions about the method the state uses to calculate them. In December, the Texas Education Agency moved to shutter six charter school operators under a new law. 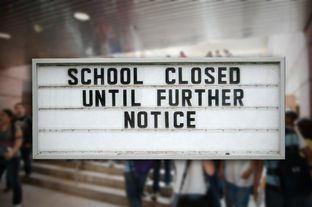 Nearly 10 months later, three of those schools remain open — fighting a process they say is overly simplistic. Commissioner of Education Michael Williams announced today that the Texas Education Agency has designated 16 new Texas Science, Technology, Engineering and Mathematics (T-STEM) Academies for the 2014-2015 school year. T-STEM academies are rigorous secondary schools focusing on improving instruction and academic performance in science and mathematics-related subjects, with a goal of increasing the number of students who study and enter STEM careers. Designated T-STEM campuses serve students in grades 6-12 or 9-12.